Armstrong World Industries is a 150-year-old company and one of the world’s leading manufacturers of floors, ceilings and cabinets. The company began using asbestos in the 1930s and continued to manufacture and distribute asbestos-containing products until the 1970s. Created in Pittsburgh in 1860, Armstrong World Industries originally made wine bottle corks. By the 1890s, Armstrong was the world’s largest cork company and leveraged its size and success to expand its product line. The company soon made insulating corkboard, fiberboard and other similar products. It also began a linoleum flooring business, which led to the production of vinyl and other flooring materials. Although this 20th century growth was profitable for Armstrong, asbestos-related lawsuits brought against the company eventually led to its bankruptcy filing in 2000. The company reorganized on Aug. 18, 2006, setting up an asbestos trust fund to cover outstanding and future personal injury claims. Now based in Lancaster, Pennsylvania, Armstrong’s 3,700-plus employees represent 24 manufacturing plants worldwide. Fiscal 2016 revenues totaled nearly $1.23 billion from ceiling and wall operations. On April 1, 2016, the company separated from its successful flooring business, Armstrong Flooring, which now operates as an independent, publicly traded company. Armstrong’s asbestos-related court battles began in the 1970 landmark case of Borel v. Fibreboard Paper Products Corporation. Clarence Borel sued Armstrong and 10 other manufacturers of asbestos insulation after developing an asbestos-related disease following his many years of working with their products. This was the first case that recognized it was a manufacturer’s duty to warn of asbestos dangers and the case became the foundation for all future asbestos claims. Over the next few decades, thousands of new asbestos claims were brought against Armstrong and the company paid millions of dollars as courts ruled they knowingly disregarded the health of its employees and consumers by using asbestos in its products. In 1991, Miller v. Armstrong World Industries Inc. turned into a precedent-setting case for asbestos litigation. Raymond Miller was an insulator from 1946 to 1951 and knowingly handled asbestos products from Armstrong, but did not know asbestos was dangerous. In his claim, he said he learned of the dangers in the 1970s while reading about asbestos. Miller developed asbestosis. Armstrong’s summary judgment victory was overturned on appeal. The case set precedent under Colorado law because it held discovery of an initial asbestos-related disease did not trigger the running of Colorado’s statute of limitations on a separate disease that manifested later. In this case, for example, the discovery of asbestosis-related pleural thickening did not trigger the two-year statute of limitations that would have prevented Miller from filing an asbestosis claim. By 2000, Armstrong faced more than 175,000 personal injury claims related to asbestos and had an estimated potential liability of $1.4 billion. This forced the company into bankruptcy. 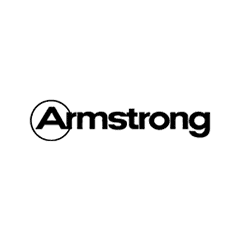 As part of their emergence from bankruptcy and reorganization in 2006, Armstrong established the Armstrong World Industries Asbestos Trust, which was intended to settle all current and future asbestos-related claims. In its first two years, the trust received more than 200,000 claims. The trust remains active with a payment schedule of 43 percent, or the amount of a claim the trust will pay to ensure enough money remains for all present and future claims. Exposed to Asbestos at Armstrong World Industries? Armstrong favored asbestos because of its resistance to heat and insulating properties. For much of its history, the company included asbestos in insulation, cements, tiles, vinyl flooring and many other products. As a result, such products placed a number of construction jobs at risk for exposure. One of Armstrong’s products was Limpet, a spray-on insulation made almost entirely of asbestos. Workers who tested Limpet during its development in the 1960s said it left too much dust in the air, prompting the company to make an alternative product. The inhalation of this dust was very hazardous and certainly placed employees at risk for developing an asbestos-related disease later in life. Armstrong then began manufacturing Armaspray, a similar spray-on insulation made of only 9 percent asbestos. Testing of Armaspray proved that it, too, was not commercially viable. Its production was discontinued within a year. To finish ongoing projects, however, Armaspray was used by Armstrong installers for another year. Future health testing of the product concluded that dust levels were more than 10 times the limit deemed acceptable by company hygienists. Armstrong employed a team of regular plant workers to manufacture products. In general, the company hired temporary workers to install insulation. Before the 1980s, both teams of workers came into direct contact with asbestos. The company’s products were widespread in residential and commercial construction as well as industrial and military settings. Aside from former Armstrong employees and contractors, trade and supervisory workers may have come in contact with asbestos through the company’s products. Plumbers, floor tile and linoleum layers, cement masons and Naval firemen are some of the occupations at risk. While Armstrong World Industries no longer manufactures asbestos-containing products, flooring and ceiling materials produced by the company before the 1980s are still found in older buildings. Disturbing these materials during renovations or demolitions can lead to possible asbestos exposure, so precautions and prevention mandates should be followed. Armstrong World Industries. (2012). Corporate History: A Historical Summary. Armstrong World Industries. Welcome to The Armstrong World Industries Asbestos Trust. Simpson, Pamela H. Cheap, Quick, & Easy: Imitative Architectural Materials, 1870-1930. University of Tennessee Press, 1999. Miller v. Armstrong Industries, Inc. United States Court of Appeals, Tenth Circuit. (1991, Nov. 26). Case No. 89-1097. NASDAQ OMX. (2017, February 27). ARMSTRONG WORLD INDUSTRIES REPORTS FOURTH QUARTER AND FULL YEAR 2016 RESULTS. Armstrong Flooring. (n.d.). About Armstrong Flooring.